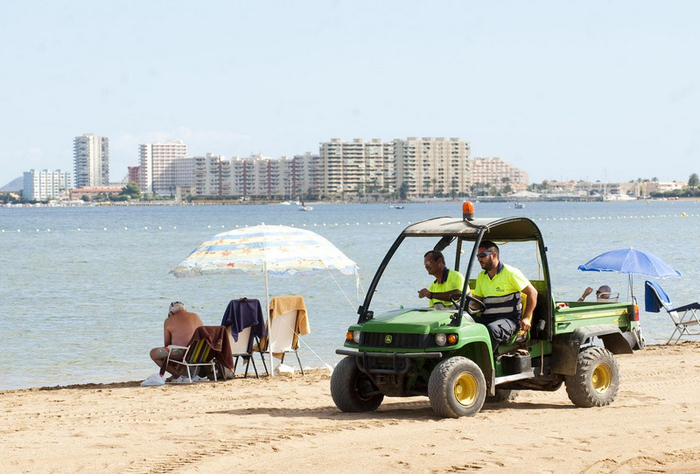 The stretch of sand known as Playa Paraíso is an extension of the beach of Playa Honda, and is differentiated by the fact that it is backed onto not by urban development but by the old salt flats of Marchamalo, from which it is separated by a wide seafront path and landscaped area. 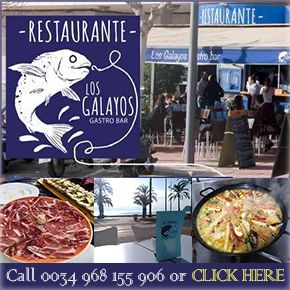 The fine sandy beach faces north-west and is flanked on the eastern side by Playa de los Alemanes, the total distance of this beach being 800 metres, although it is difficult to see where one beach ends and another begins, the three neighbouring beaches merging seamlessly one into another. 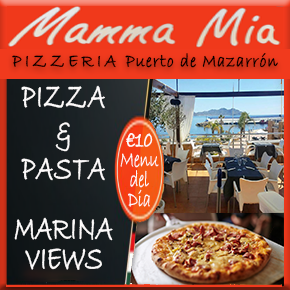 There are few remnants of the days when this whole area was used to harvest sea salt as much of the original saltpans lie buried beneath the modern developments fringing the Mar Menor, so this area has been given the status of a reserve and is very much a natural haven for birdlife. 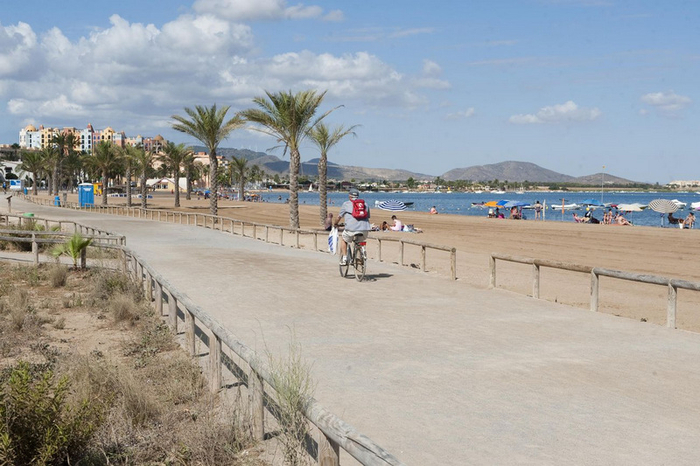 As befits an area next to a wildlife and bird reserve, the zones immediately behind the beach have been sympathetically landscaped, so beachgoers can enjoy an attractive corner in which to walk or cycle, reflecting the environmental sensitivity of this area of the Mar Menor. 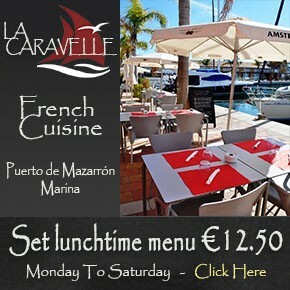 The Mar Menor is a unique environment, its beaches inside the circle of Europe's largest saltwater lake, which covers a surface area of nearly 170 square kilometres, with 70 kilometres of internal coastline. 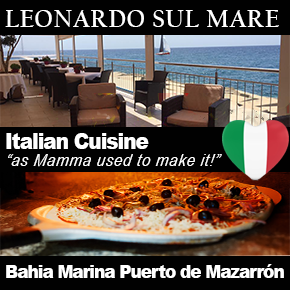 This is separated from the Mediterranean by a 22km long strip of land, La Manga del Mar Menor, which is connected to the Mediterranean via a canal channel, feeding the Mar Menor with natural saltwater. 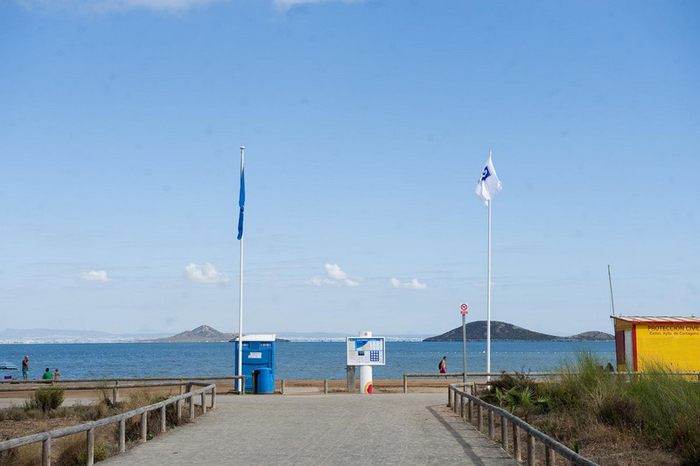 Information about the Mar Menor is displayed on informative panels installed at the beach, which also offers recycling collection points, bins, wooden walkways, footwashes, toilets, a beachbar, lifeguard service, children's play area, and hire zone for sun loungers and umbrellas. 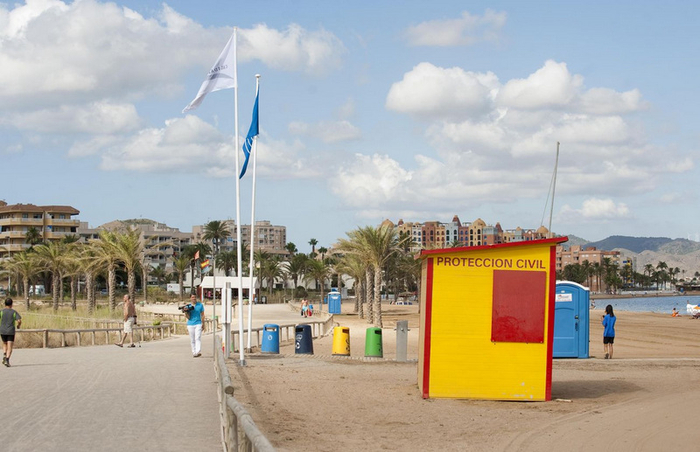 Access to the beach is either from Playa Honda or from the small residential area of the Playa de los Alemanes: for those new to the area the more recommended route by car is to park at the eastern end of the beach of Playa Honda (the road access to Playa de los Alemanes is picturesque but complicated! ).